THE haunting moment a killer dog was dragged from the kitchen where it mauled a 14-month-old girl to death yesterday has been caught on camera. 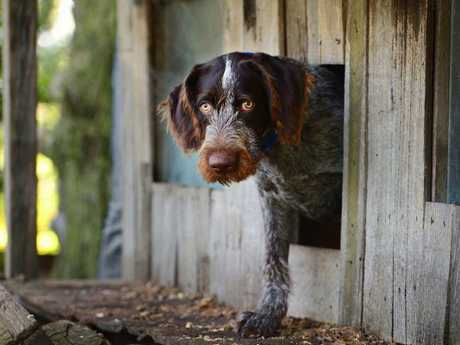 A small rural township east of Melbourne is in deep shock after the savage attack in which the tiny girl was set upon by her family's pet - a german wirehaired pointer. 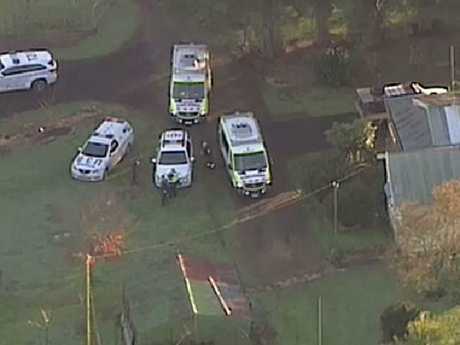 The toddler was at the family's Neerim Junction property in the state's Gippsland region early on Thursday morning when she was attacked. The family pet attacked the back of the child's head and neck, inflicting life-threatening injuries. Paramedics worked on her for two hours but she died at the scene. The dog has since been destroyed. 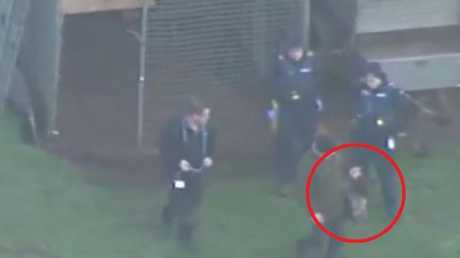 New footage from Channel 7 shows the moment a handler - surrounded by police officers - tightly grabs the killer animal by the scruff of the neck outside the family home. The team can then be seen dragging it towards the back of a police wagon. Victoria Police Sergeant Dean Waddell said the mother was injured on the hand and leg by the dog while attempting to save her daughter. "Mum's tried to step in and she's pulled the dog away," he told reporters. "She's tried everything to save her child. It's devastating. It's a tragedy." Despite being bitten by the enraged dog, the desperate mother attempted to perform CPR on her child. Two older siblings were inside the home at the time of the attack. Police and ambulance vehicles swarmed the rural property, with investigators later saying a report would be prepared for the coroner. Baw Baw Shire Mayor Joe Gauci said the family had only moved to the area in recent months but had already established a local network, with the girl's siblings attending a school in town. "When it's a young child, I think it's even harder for the community to take," he told reporters. "It's tragic. It's a new family that's moved into our local area, and I don't know how you put words to it. It's just a tragic event that's happened. And we'll just work through it." Counselling services have been set up for community members at the Neerim Junction town hall. Maria, who lives in the area with her husband, told AAP "the whole town is beside themselves". "This morning we woke up and there was a helicopter and we thought, 'Oh God what's happened?'" she said. The girl was attacked at a country property in Victoria. A man down the road from the property and who didn't want to be named said: "It's a pretty full-on tragedy and I think the mother will be going through a lot of grief." 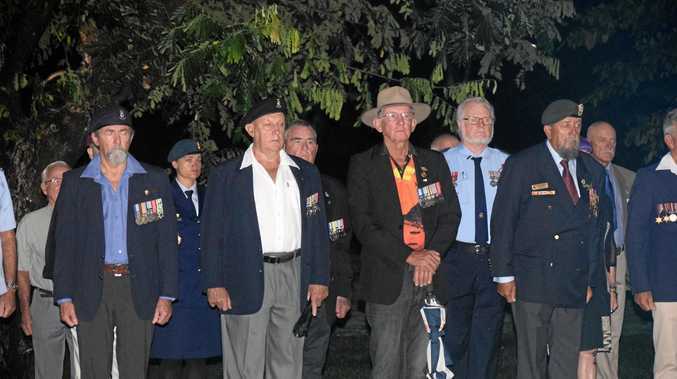 The shire's chief executive, Alison Leighton, said Neerim Junction was a tight-knit community. "We certainly want to make sure that they feel council's support in a tragedy such as this," she said of the town's residents. "Council expresses our sincere condolences to the family that have tragically lost their child," she said. "Our thoughts are with the family and the tight-knit Neerim Junction community during this difficult time." 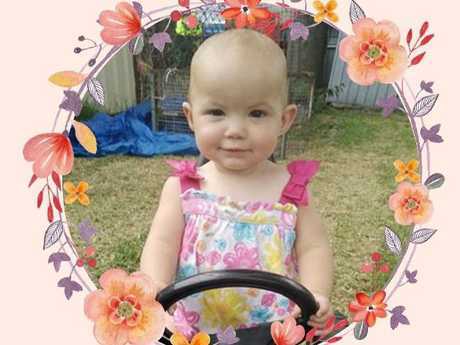 The girl's death comes five months after a one-year-old girl was mauled to death by a rottweiler in Inverell in northern NSW. Emergency services quickly arrived at the scene, but found the young child suffering critical injuries. The German wirehaired pointer - the breed involved in yesterday's attack - has been bred since the 19th century, initially for hunting. The dog breed stands up to 68cm tall and can weigh 32kg. The breed is not in the top five most reported dog attacks in Australia. The top five include staffordshire bull terrier, cattle dog, german shepherd, rottweiler and the labrador retriever. According to the Royal Children's Hospital in Melbourne, around 13,000 people each year attend hospital emergency departments in Australia for dog bite injuries. Children under the age of five are most at risk, and are often bitten on the head, face and neck.